Happy 2nd birthday to Dinings! It’s no secret that The Norman Tel Aviv is extremely proud to be home to the world-renowned Dinings restaurant. Because we want to share the excitement, we welcome our guests, old and new to come and join us in the celebrations. And what better time to celebrate with us than on the 2nd birthday of this unique fusion of traditional Izakaya-style Japanese Tapas and modern European cuisine. Diners can sit at the bar and enjoy the spectacle that is the Dinings sushi chefs at work or take a seat with a breathtaking view over the Tel Aviv skyline. “Yose-dako” octopus carpaccio with caviar (wine paring: Pouilly-Fume, La Moynerie, Michel Redde 2014). Or “Sashimi” cured salmon, little gem lettuce and kelp infused tender stem broccoli salad with onion wasabi vinaigrette. 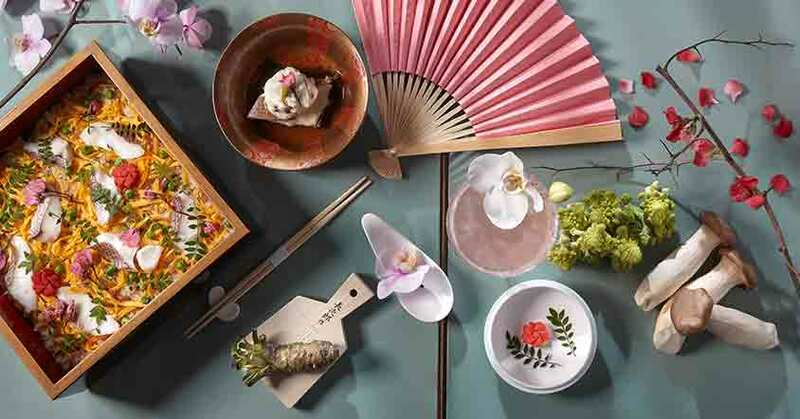 For the next course, move to a “Hot syuko” such as a pan-fried foie gras and beef “Gyoza” dumplings, served with spicy “sujyoyu” or if you’re keen sushi devotee, the fatty tuna “toro” or “Negi-toro” – gunkan style, showered with Uragazanryu Koka Honjozo sake. A dish not to be missed is the braised octopus “sakura-ni” served with sweet soy and yuzu zest. Most meals, not just those that fall on a birthday should end with a perfect dessert finale which is why you ought to ready yourself for a black and white sesame “kuzu-mochi” with “kuromitsu” syrup. In the last 2 years, Dinings has been a beacon for food that dazzles in an atmosphere that allows you step back and enjoy being somewhere total distinctive, these are things that should be celebrated, and we look forward to doing that with you.